Mix ingredients in a large bowl. Cover and refrigerate 1 hour or more before serving. This versatile sauce delivers a great garlicky punch to unlimited foods and makes enough to feed a party. Use as a dip for fresh veggies or French fries, slather on a sandwich, or spoon over freshly grilled seafood. 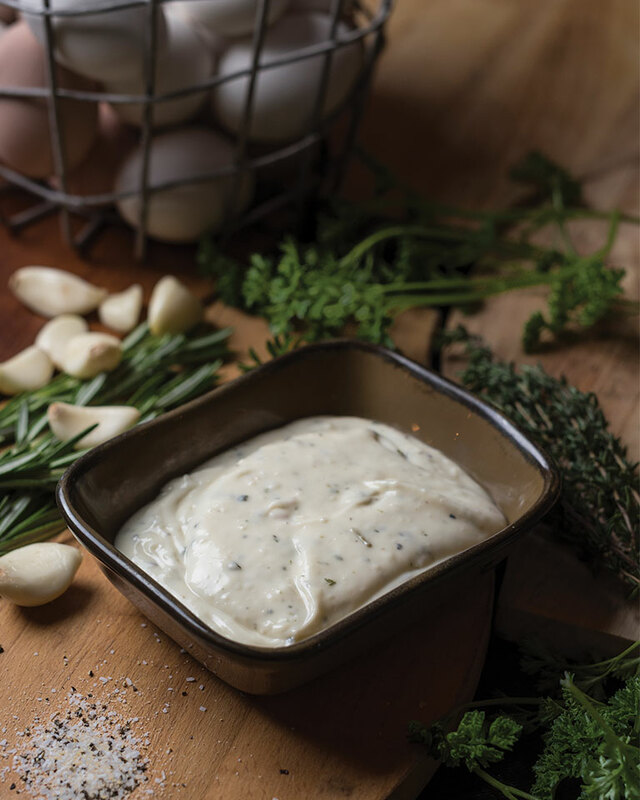 It’s your aioli—use it any way you want!